"New Hampshire Marriage Certificates, 1948-1959", database with images, FamilySearch (https://familysearch.org/ark:/61903/1:1:QKJ7-XTPT : 15 October 2015), James Rockwell Rice and Sylvia Louise Woodward, 1952. "New Hampshire Marriage Records, 1637-1947," database with images, FamilySearch (https://familysearch.org/ark:/61903/1:1:FL8H-RCL : 12 December 2014), Wesley B. Woodward and Beth S. Swett, 30 Jun 1928; citing Andover, , New Hampshire, Bureau of Vital Records and Health Statistics, Concord; FHL microfilm 2,070,748. "New Hampshire Marriage Certificates, 1948-1959", database with images, FamilySearch (https://familysearch.org/ark:/61903/1:1:QKJ7-JX8S : 15 October 2015), Sumner Swett Woodward and Joan Shirley Hamel, 1954. Vital Records of Marblehead, Massachusetts to the end of the year 1849, Salem, Mass. : The Essex Institute, (1903) , Vol. 2, p. 604, First Congregational Church records. Vital Records of Marblehead, Massachusetts to the end of the year 1849, Salem, Mass. : The Essex Institute, (1903) , Vol. 1, p. 498. Vital Records of Marblehead, Massachusetts to the end of the year 1849, Salem, Mass. : The Essex Institute, (1903) , Vol. 1, p. 499. Mass. Newbury, Vital records of Newbury, Massachusetts, to the end of the year 1849 (Salem, Mass. : The Essex Institute, 1911), Vol. 1, p. 502. F. Marshall Bauer, Marblehead's Pygmalion: Finding the Real Agnes Surriage, , at https://books.google.com/books?id=0ybU3_xNgMAC . Charleston: The History Press, (2010) , pp. 35-6. Vital Records of Marblehead, Massachusetts to the end of the year 1849, Salem, Mass. : The Essex Institute, (1903) , Vol. 2, p. 416. Thomas Amory Lee, "The Lee Family of Marblehead," The Essex Institute Historical Colklections, Vol. LII (1916): p. 149. 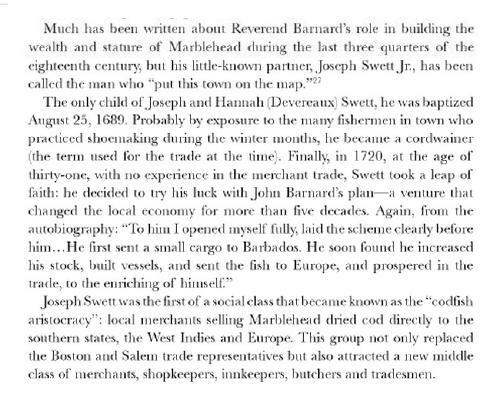 "The Lee Family of Marblehead", p. 330. 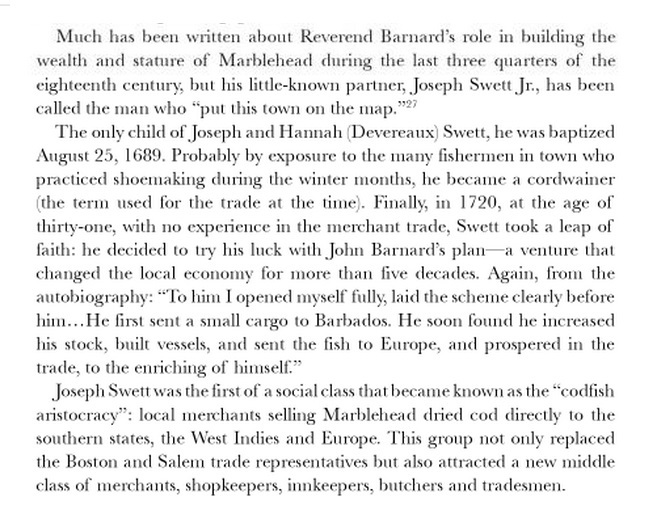 "The Lee Family of Marblehead", p. 329. The Genealogist, Volumes 5-6 (1984), p. 203. Vital Records of Marblehead, Massachusetts to the end of the year 1849, Salem, Mass. : The Essex Institute, (1903) , Vol. 1, p. 501. Thomas Amory Lee, "The Lee Family of Marblehead," The Essex Institute Historical Colklections, Vol. LII (1916): p. 329. Thomas Amory Lee, Colonel Jeremiah Lee, patriot, , at https://archive.org/details/coloneljeremiahl00leet . Salem, Mass. : The Essex Institute, (1916) , p. 17. Thomas Amory Lee, Colonel Jeremiah Lee, patriot, , at https://archive.org/details/coloneljeremiahl00leet . Salem, Mass. : The Essex Institute, (1916) , p. 19. Thomas Amory Lee, Colonel Jeremiah Lee, patriot, , at https://archive.org/details/coloneljeremiahl00leet . Salem, Mass. : The Essex Institute, (1916) , p. 20. 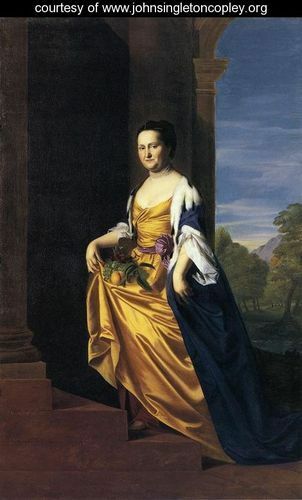 Mary Swett was born perhaps about 1727. "Massachusetts, Marriages, 1841-1915," index and images, FamilySearch (https://familysearch.org/pal:/MM9.1.1/N48Z-PZV : accessed 02 Dec 2012), Ernest Sykes and Helen Tilson Sivret, 1906.